news Toll Group chief information officer John Ansley has resigned from the group just a year and a half after taking up the role, in the wake of the failure of an ambitious IT outsourcing plan. Ansley is a well-known IT executive with a strong history steering IT projects at major corporations. Previous to his role at Toll, he was president of supply chain solutions and chief information officer at Linfox. He has also held CIO roles at Roche and Rio Tinto, as well as being chairman of vendor SAP’s CIO Executive Council. When the executive joined Toll in March 2014, it was with a mandate for change. iTnews reported that Toll’s IT systems were a mishmash of pieces which had not been integrated over the past decade of acquisitions that the company had carried out. Because of this situation, Ansley was given a mandate to transform Toll’s IT operation, shifting to the SAP platform for many of its systems. However, it appears as though the plan has come unstuck at Toll. Delimiter understands the executive has resigned and will leave the company in early 2016. The resignation comes just weeks after Toll revealed it planned to dump a wide-ranging play to outsource key parts of its IT infrastructure, as well as application support and development. In late October, Toll group director of Corporate Affairs Andrew Ethell issued an internal email at the company, which has been sighted by Delimiter. In the email, Ethell announced a decision to “stop” Toll’s Global Technology Transformation (GTT) project. I don’t have much inside information as to what has happened inside Toll’s IT operation over the past few months. However, the little information I do have, as well as the appearance that the situation presents from the outside, would appear to paint a relatively clear picture. Realistically, up until this point, Toll appears to have been doing a pretty terrible job with its IT. It’s the old standard story: A massive corporation makes lots of acquisitions, but without properly integrating its targets’ systems. After a decade of this, it ends up with a spaghetti mess of competing platforms. Plus, it’s most likely underinvested in IT throughout that period as well, so it doesn’t have the capability or the relationships to start to modernise its internal operations. And yet, it has to. Logistics businesses in 2015 are essentially — like virtually every other business — technology businesses, at their heart. These companies need to have solid IT platforms at the heart of their operations, in order to get the job done as efficiently and and effectively as possible. They rely on technology on a daily basis. So they hire a top gun CIO like Ansley and give him a mandate for change. They’re open to necessary strategic moves such as outsourcing to get capability into the business. The only problem is, the new CIO runs into a brick wall of internal opposition to the changes that need to be made. Eventually, the business pushes back too far and the strategy collapses. Exit CIO, stage left. This is mostly only my personal speculation, based on a few scraps here and there that I have been able to garner. But I’ve seen the same story too many times in too many other organisations for there not to be at least a grain of truth in what I have written here. Then too, Ansley is a competent operator. He committed to Toll. It would have taken a great deal for him to leave — he would have needed to believe that he had lost the confidence of the higher-ups in the business — even the board. It’s hard to see much of it being Ansley’s personal fault. The role Ansley took up at Toll offered him precisely the kind of reforming challenge a high-level CIO in 2015 looks for. It is a pity that it appears that the company itself may not be ready to face that challenge just yet. > The only problem is, the new CIO runs into a brick wall of internal opposition to the changes that need to be made. Eventually, the business pushes back too far and the strategy collapses. Exit CIO, stage left. Telstra Executive was speaking to hedge fund bunch investors. Some hedge fund investors will tell you want todo. Alot of swearing and calling them (Telstra) an idiot, Basically forced them into outsourcing to india. Better the red pen I guess than something like a QLD health debacle. Scope creep or just enough strong wills (ie change the system to suit how we do it now) that insist my way is the right way can really derail a switch in IT software/systems. I realise the current system(s) probably make life somewhat hard on employee’s across the company (everyone at some point I think deals with ‘one of those’) but since transports so competitive if there isn’t a big enough cost saving it doesn’t surprise me that sticking with the current setup vs an expensive change got put on the back burner. Bit of a bummer that the CIO goes as well after such a short stint but guess will see what develops. On 15th May 2015 Japan Post acquired Toll – I wonder how much that change of ownership and subsequent change in business governance and strategy had on both the project decision and the CIO’s resignation? 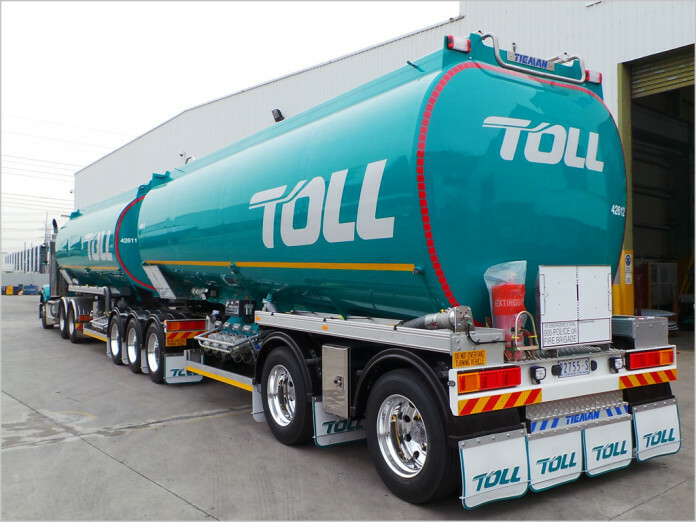 Toll went from being an independent listed company to a division of a newly listed (TSE) ex-government organisation.